I've just come across a product that quilters will go crazy about. "Now imagine how pleased your family and friends will be to receive a Quilt Mail Greeting with your favorite family picture and a custom printed greeting. What could be better? That they are quick and easy? The truth is it takes less time to make three of these little greeting cards than it takes to write the family Christmas poem! And it costs less, too. Especially since you can use fabric scraps. Because I was so excited when I finished the Quilt Mail Greetings, I called my friend, Sue. She wanted to know exactly how to make them – step by step. 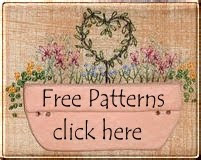 Thing is, most patterns and instructions for these fabulous little quilt postcard treasures are about the same as for many quilting patterns – one page; a few one line instructions; a couple of measurements; basically, figure it out yourself. Frankly, those instructions leave a lot to be desired. Especially if you are new to quilting or transferring photos onto fabric. Using the “figure it out yourself” method can cost a bunch of time, money and fabric – let alone stress. And everyone knows, additional stress is the last thing we need this time of year. Introducing the definitive, 52 page step-by-step guide for making Quilt Mail Greetings. Sue and I spend hours putting this resource together: researching various methods of transferring photographs to fabric, taking pictures of every step of the way, and writing each instruction as clear as a bell, guaranteeing your success." Click on the link to find out how to make your family holiday greeting so memorable that your family and friends will be talking about it (and your talent) for years.